See how easy it is to go paper free. Do you find yourself pulling your hair out trying to keep on top of your daily mountain of paperwork? It can feel like you’re drowning. Whatever effort you put in, you don’t move forward. You just do everything you can to stay afloat. Things don’t have to be this way. Indeed there are better ways for service businesses to manage their paperwork. 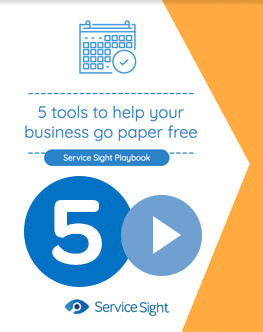 So what’s stopping service businesses like yours from adopting a paper free approach? And give you the time you need to focus on increasing your service revenue. Go paper free and radically reduce costs.